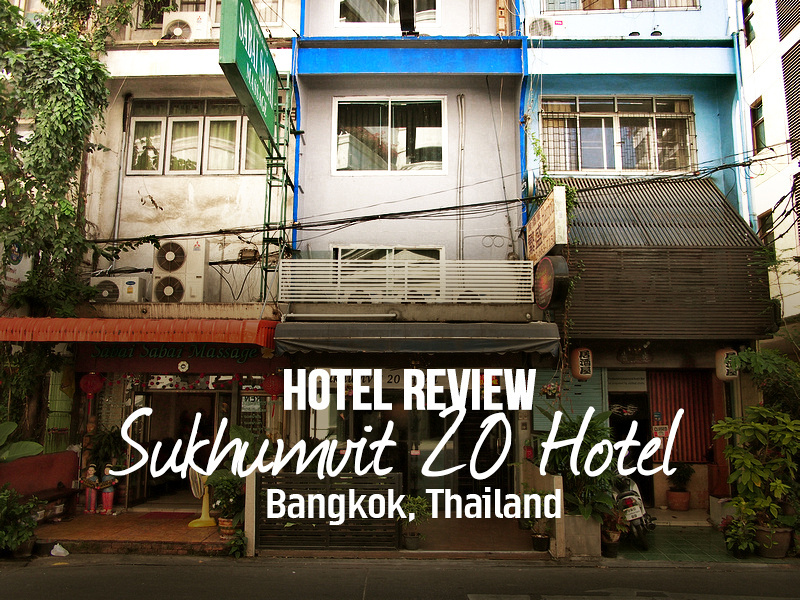 I stayed at the Sukhumvit 20 Hotel in Bangkok, Thailand. I booked online at the rate of $20 USD per night, and picked it for its location and price. I have not seen the Sukhumvit 20 Hotel in search results before but it turned out to be a great location. 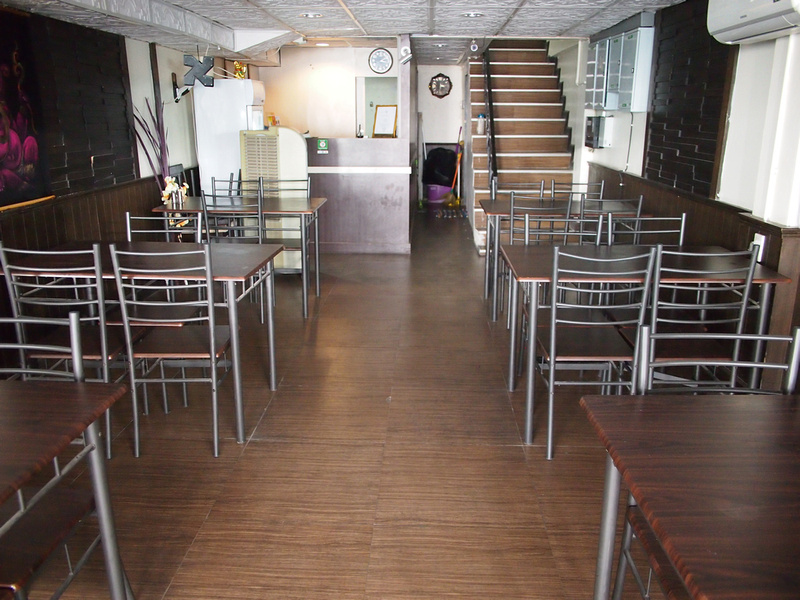 The hotel is halfway down Sukhumvit Soi 20, and it was a 10 minute walk to Asok BTS and 13 minutes to Phrom Phong BTS. Asok is the where the BTS and MRT trains interchange so it’s a central location on Sukhumvit. 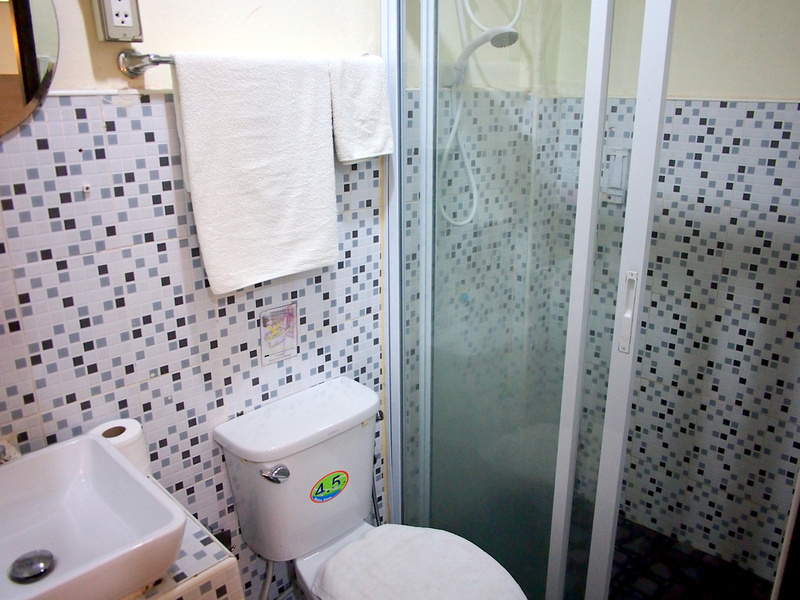 I would describe the Sukhumvit 20 Hotel as one of the last of the old-school Sukhumvit guesthouses. The Soi is lined with apartment towers and new hotels. The Suk 20 sites between a massage parlour and Japanese restaurant in an old concrete block that must be getting eyed off by developers. There are not many of these type of hotels on Sukhumvit left. The reception had a dining area but there didn’t appear to be any meal service when I was there. Some of the rooms were advertised with breakfast, but again I didn’t see any breakfast during my time there. I checked in and went up the narrow stairs to the third floor, not really knowing what to expect for my $20 a night. The room was more than I had expected. It was small but laid out well enough to place things. The bed was comfortable and there was a desk and wardrobe as well. The bathroom was ok considering there wasn’t a window. It was a small space and the door opened next to the sink. I noticed there was a small leak coming from the ceiling from the floor above that left a little puddle on the floor throughout the day. 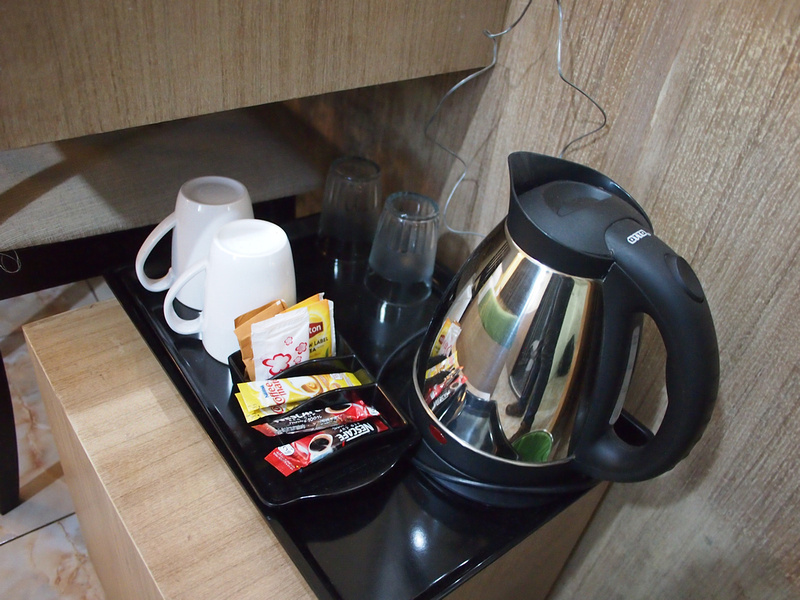 I liked that the room had a kettle with tea and coffee. The wifi signal was good though it did drop out occasionally. The room had an A/C unit and wall fan, and being mid-March in Bangkok (ie really hot) the A/C was required the whole time. Overall I enjoyed my stay here. The location is as central as it gets and for the price it was a great deal. 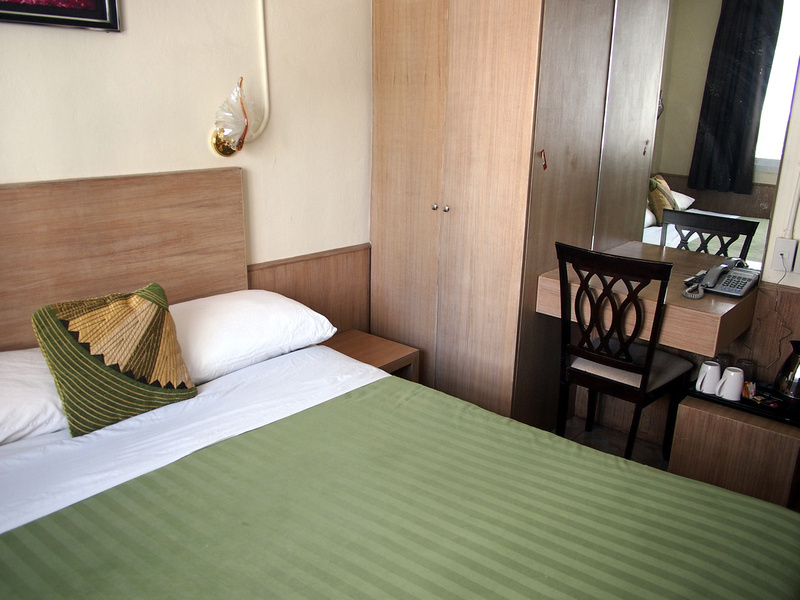 Book the Sukhumvit 20 Hotel online or search for more hotels in Bangkok. If you can’t decide which area is the best then read my guide on where to stay in Bangkok.